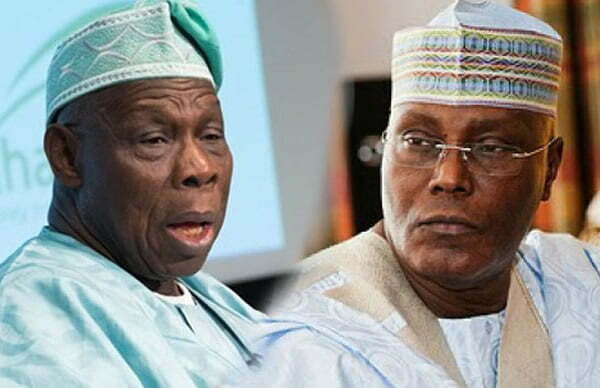 Nigeria’s former President, Olusegun Obasanjo has stirred the hornet’s nest again as he claimed that Jesus Christ, when he came in human flesh was not perfect, just as the PDP Presidential candidate, Atiku Abubakar is not perfect. Obasanjo likened Atiku to Jesus Christ to portray human’s imperfectness. Obasanjo, who spoke at the 2019 Island Club Quarterly Business Lecture in Lagos said he could vouch for the presidential candidate of the Peoples Democratic Party (PDP) to reposition the country. “For me, as a Christian, the only Messiah I know and have is Jesus Christ and even then, the man aspect of Him was imperfect while the divine aspect of Him was perfectly messianic,” he said. The News Agency of Nigeria (NAN) reports that prominent Nigerians at the lecture included Senate President, Bukola Saraki, PDP National Chairman, Prince Uche Secondus and Sen. Ben Murray-Bruce.